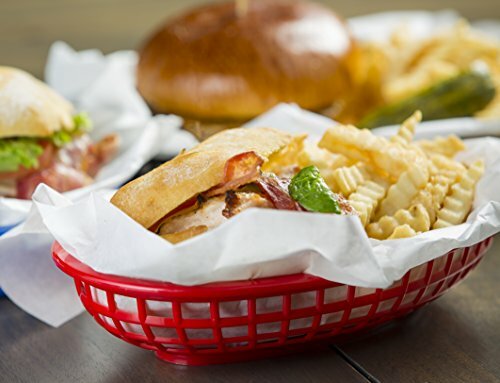 Sandwich and fry basket. Dishwasher and microwave safe. Durable plastic. Great to have on hand for backyard barbeques or picnics in the park. Use for hotdogs, burgers, fries, onion rings, or anything else you can think of. Assorted Red and Yellow. 9". 6 piece set. Made in United States. *If this is not the "Tablecraft 6 Piece Assorted Sandwich & Fry Basket Set, 9", Red & Yellow" product you were looking for, you can check the other results by clicking this link .